Mummy Of 3 Diaries: I spent MothersDay With the Hoff & Amanda Holden. Yep it's True! I spent my Mothers Day with Amanda Holden and the Hoff. I have had one of the most exciting Mothers Days i could have ever wished for.It truly was beyond my wildest dreams and i owe it all to one lady named Claire who is my good friend on twitter under the ID @needaphone. She is so lovely and does so much for others all the time.She won a competition on twitter and being the amazingly lovely lady that she is,she gave them to me and made all my dreams come true! I got to go to see Britain's Got Talent being filmed in my home town of Birmingham.It was a special show for people who had auditioned through their new city this year - You Tube. I was so excited,I'm a huge Amanda Holden fan and i love Ant & Dec to. 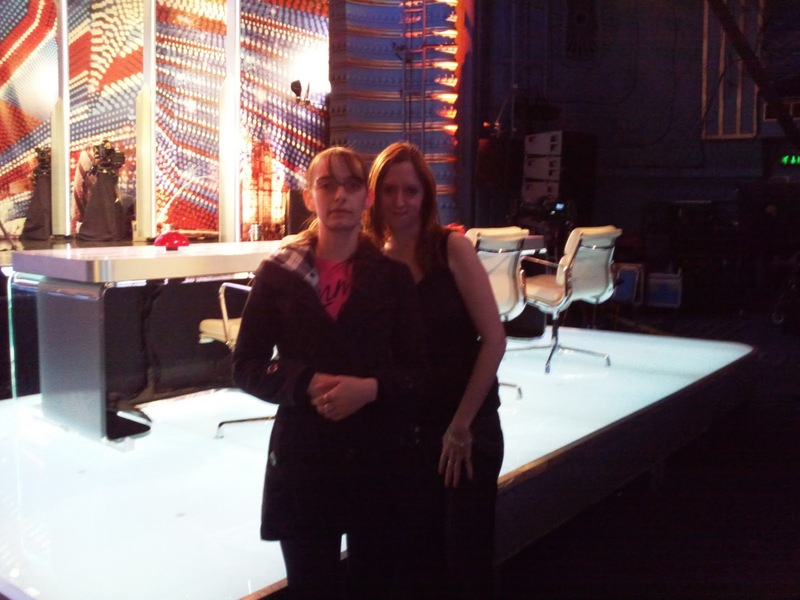 When i got there we had to wait outside in a nice little Que of about 20,all competition winners of what i found out to be from the company who were the BGT sponsors this year.We were told we would be the 1st group to go in once the judges arrived.I was so excited.I had taken my friend Kirsty with me for a nice day out. 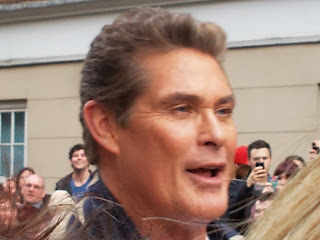 1st to arrive was David Hasselhoff who was quite charming,he walked up and down the whole crowd greeting us all.I was trying my best to snap a picture but i guess i zoomed in a little too far lol. Next to arrive was Micheal Macintyre and then the Lovely Amanda Holden who looked absolutely stunning.She is so beautiful both inside and out.She was so sweet,was smiling the whole time.I loved her white dress,It was gorgeous. 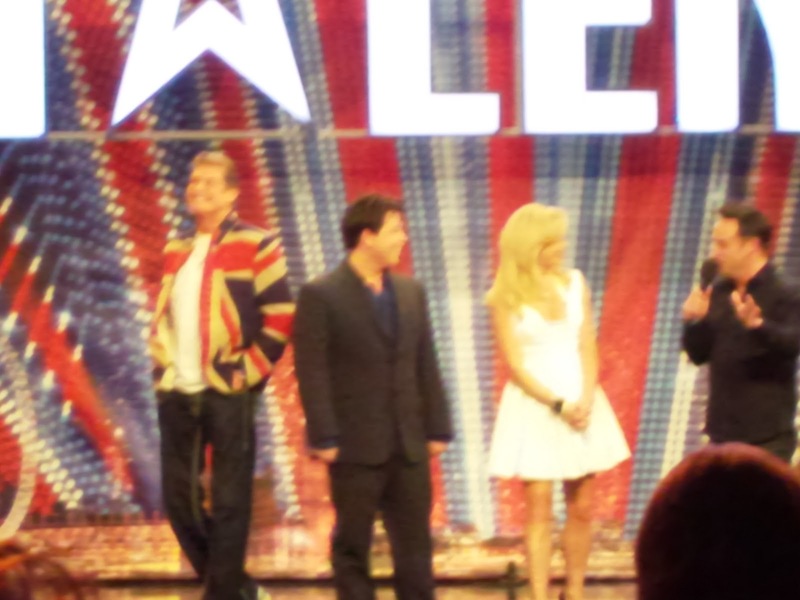 Amanda with Ant,Micheal Mackintyre and the Hoff. Ant and Dec with Amanda.